It is only a matter of time, when you decide to take a break from the extensive hustle bustle of the city life and set out to have a time of your life to places where the sediments of time have still not settled in. The weekend getaways from Delhi listed below cover places for every interest. From hill stations to wildlife destinations to those that have history still moist and intact while novel ways of enjoying the weekend have come up. Most of these destinations can be reached by bus and trains as well though best experienced in own car. Adorned by the holy Ganges, snuggled in the Himalayan foothills, Rishikesh becomes a sight to behold in a single breath. If you are looking for a place to spend a peaceful and fairly spiritual weekend, Rishikesh is the one for you. A center for yoga, the place offers a tranquil, alcohol free and city life free stay. Its spell bounding beauty is a lifetime experience. However, adventure sports, especially white river rafting, is something you cannot miss and an apt way to get adrenaline rushing. 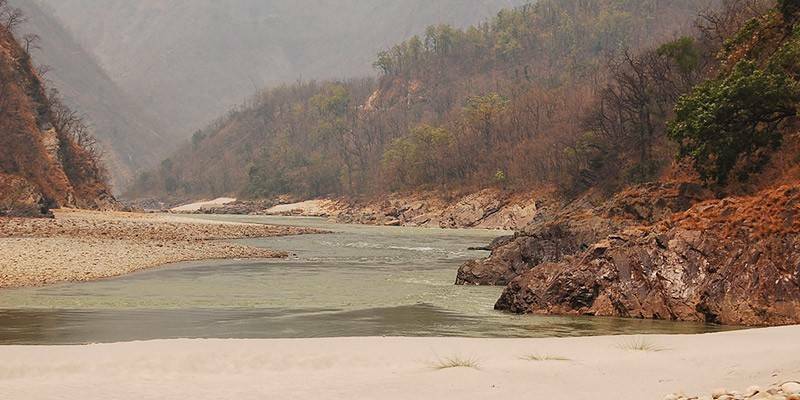 It not just the superb climate and clean fresh air but an array of activities available in Rishikesh that make it a top weekend getaway from Delhi but also other nearby cities. 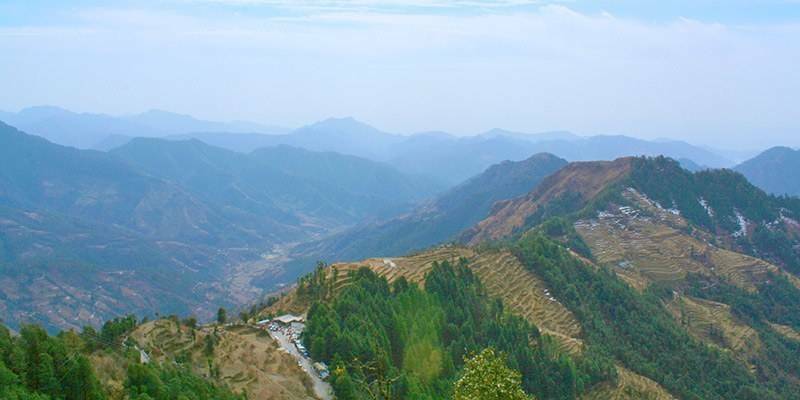 Set in the Solan district of Himachal Pradesh, Kasauli was set as a British Raj hill station. The place has a mesmerizing view from high atop the hills. The place is apt during the excruciatingly terrible summer heat in Delhi as it is only a 5 hour on road journey to Kasauli from here. 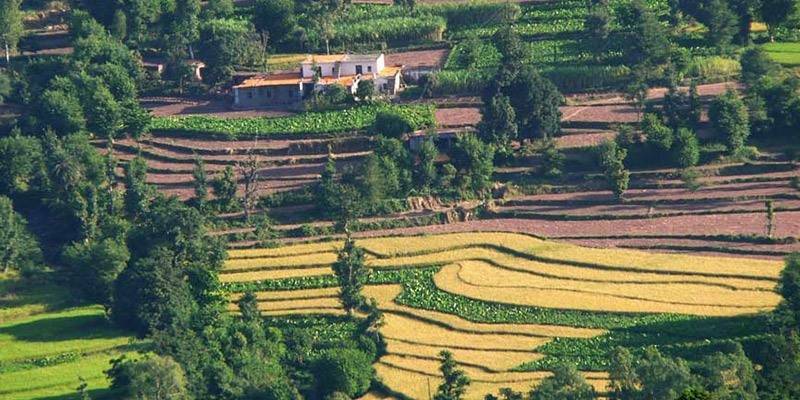 Kasauli offers picturesque views of majestic Himalayas and scenic lush green valleys. Kasauli is a very popular day trip destination from Chandigarh. There are lot of accommodation options available here, from camp stays to luxury resorts along with many budget hotels. Nahri Temple: the temple boasts of its glorious past which traces back to 50 years. The temple is dedicated to goddess Durga and Lord Shiva. There is also a bauri near the temple where you still get sweet, portable water. Kasauli Brewery: it is an old distillery of scotch and whisky in Asia and is worth a visit. The cool climate and the calm and lovely environment of Mussoorie makes it an apt location for honeymooning couples. Its mystifying natural beauty, known to be. Along with Nainital, Mussorie is an all time favorite as a top family vacation spot. Mussoorie now offers activities for everyone in the family. This place has adventure sports like dirt biking, paragliding, rope activities, zip-lining etc. Going on a morning bicycle ride or a short hike along the traffic less roads would be an amazing experience for anyone. If you have not been to Mussoorie, then this is an ideal weekend getaway from Delhi within 200 km to be considered. Mussoorie Lake: the lake offers a beautiful view of the Doon valley and the nearby villages. Peddaled boats are easily available for such excursions. Kempty Falls: situated on the hilly tracks of Uttarakhand, the falls bring you absolutely close to nature. Lake Mist: the lake mist is a small attraction before Kempty Falls, it has many small waterfalls made by the river. 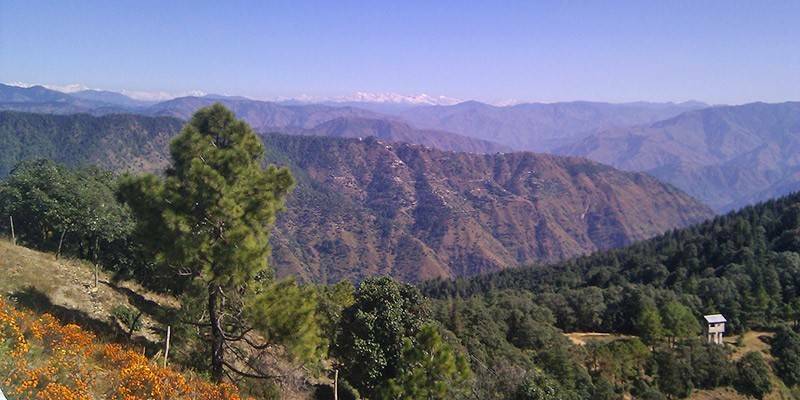 Dhanaulti is an equally beautiful location near Mussoorie. 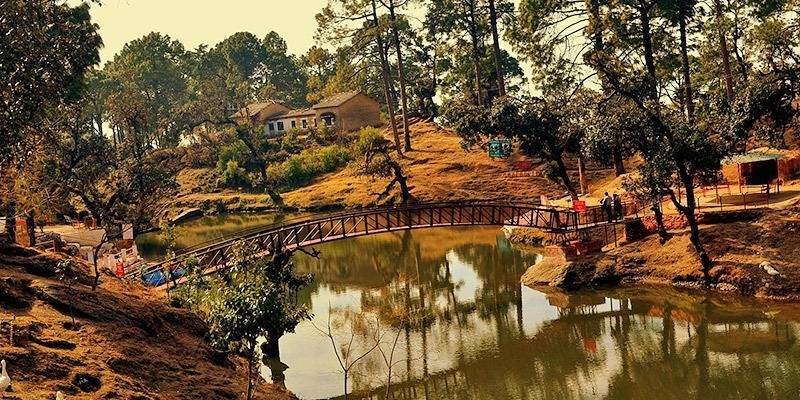 Eco Park is the main attraction in Dhanaulti. A protected patch of small forests containing Deodar trees is housed here. Dhanaulti has a wide range of adventure sports to be a part of. Sports like Burma Bridge, Flying Fox, Tyre Bridge, Rope walk etc are quiet common here and tourists are safely instructed to enjoy it to the fullest! Most people who travel to Mussoorie, also try to come and explore Dhanaulti. A tree house stay or camping is something travelers can experience here. Dhanaulti is situated at an height of 2,286 meters which makes it a place will pleasant weather almost throughout the year. 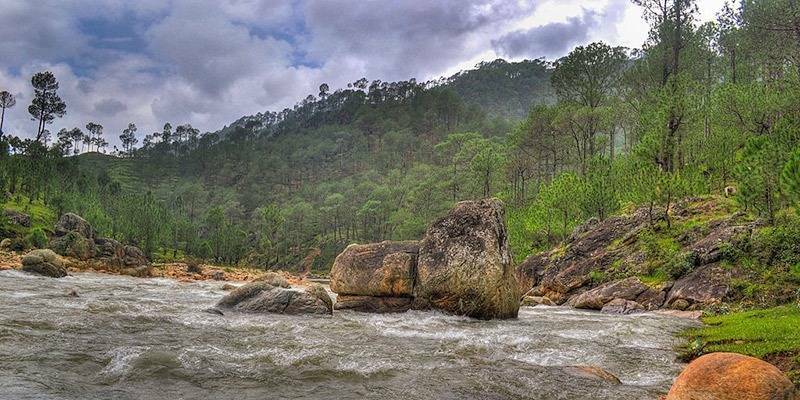 Corbett National Park is one of the oldest National Parks in Uttarakhand and is a haunt for tourists and wildlife photographers. The endangered Royal Bengal Tiger is the main attraction at this spot. Jim Corbett is a birdwatcher’s paradise. It includes rare species of spot-bellied eagle owl, great slaty woodpecker, bright headed cisticola and many more. Elephant ride safaris are an amazing experience. 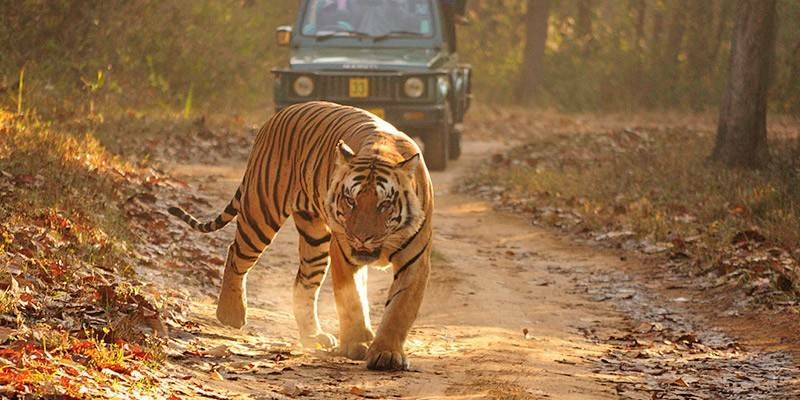 Corbett National Park is easily the top tourist destination specifically for those interested in wildlife and nature. Park does remain closed for Monsoon months. There are many wildlife resort and camps around the national park. All in all a great option for a family holiday and outdoor enthusiasts. Every inch of Mathura and Vrindavan is brimming with love and timeless devotion for Krishna. The land, Brajabhuma, has spread its welcoming arms. Mathura has a number of attractions like the main temple of Radha and Krishna with its itricate and spell bounding architecture. The ‘Karagrah’ where Kansa had kept Devaki and Vasudev is yet another sight to behold with its dark alleys and dungeons. Vrindavan was the place the witnessed the Lord’s revelry, it is colorful and full of life. Both these places are not just religious destinations but can be visited by anybody interested in spirituality, culture and heritage. 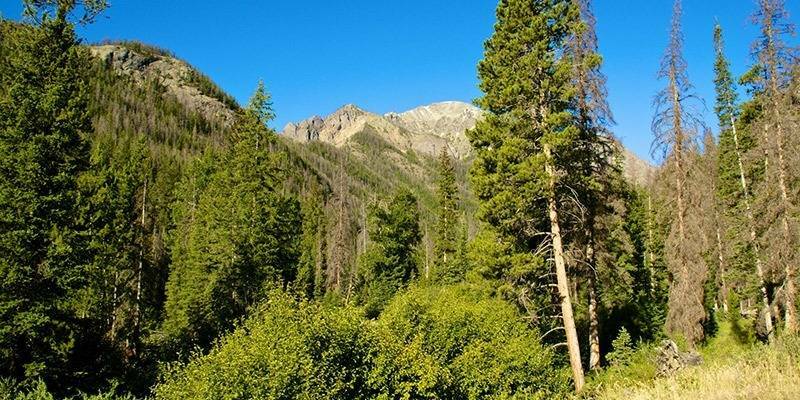 Gokula: it is one of the twelve sacred forests and is worth a visit. Brahmanda Ghat: a very famous ghat worth visiting. Govardhan hill: the hill from the myths, stands erect on reality. Srija Mandir: situated on top of the hill, overlooking a breathtaking view of the Varsana is the Srija Mandir that is worth a visit. This trip can be easily extended to include Bharatpur and Agra if you are interested to see Taj Mahal or other historic monuments such as Fatehpur Sikri. Chail used to be the summer capital of the British Raj. At a height of 2226m, the royalty visits the exquisite palace that is adorned with classy furniture and all you need for a beautifully secluded stay at the place. 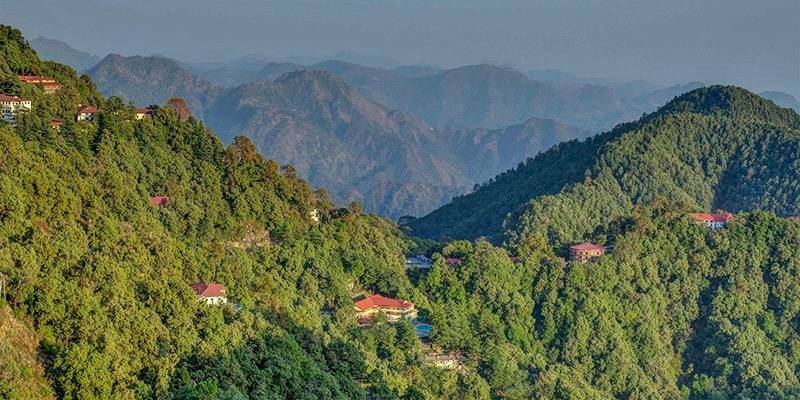 Along with the mesmerizing view that Chail offers you, there are fishing and trekking grounds and of course, not to miss the world’s highest cricket pitch and polo ground. This small station called Kufri shows itself through forested areas. The place is famous for the Nature Park, and the Mehasu Peak that has amazing views. It is not very far from Chail and promises a beautiful long drive. Kufri is a great romantic weekend getaway located just 15 kilometers from Shimla. Shimla ensures a constant flow of vacationers every year. It is a hill station, but to many it is no less than a Paradise. The most interesting part about Shimla is that the Colonial Architecture still retains itself here. Shimla is great all the year round choice for a weekend getaway. 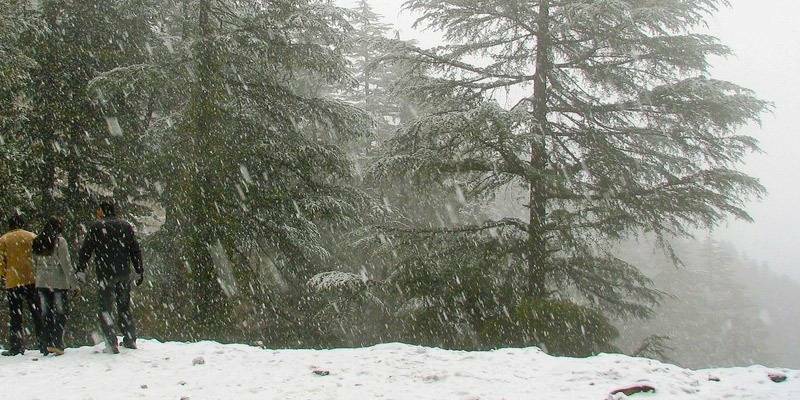 Shimla is equally popular in winters as it is popular during summer season. Viceroy Lodge: the plays is a labyrinth of the most Ancient Articles and photographs going back to the times of British Raj. Natural ice skating rink: Shimla has the largest ice skating rink worth a visit. Almora is the cultural centre of the Kumaon region of Uttarakhand. You have a complete array of beauty, handicrafts, panoramic view of the Himalayas and rich culture awaiting you there. Nanda Devi Temple and Chitai Golu Devta temple are two famous temples here. The Bright End Corner gives a mesmerizing view of the Sunset. The place is a nature lover’s paradise! And attracts city dwelling tourists to its lap all round the year. Serving as a cantonment during British Raj, it has now become a quiet popular hill station. It is absolutely aloof of the reckless urbanization and offers you a moment of solitude. The Binsar Mahadev temple is an attraction. Nature lures you to itself through the deer park, Martola (a picnic spot) and Bright End Corner for a mesmerizing sunrise or sunset. Jal Mahal: Majestically set in between the Man Sagar Lake, Jal Mahal has its charming sight open to visitors from morning to late in the evening. City Palace: it is the Major attraction in Jaipur, the seat of honor of the Maharaja of Jaipur. The architecture of the palace and its rooms is worth looking at. At just about 3 hours drive from Delhi, Sariska National Park is the a great option for a weekend getaway from Delhi provided you choose right weather. Peak summers can be avoided but monsoons and winters is a great time to visit Sariska and Alwar. Sariska was established as a tiger reserve and made a part of Project Tiger. 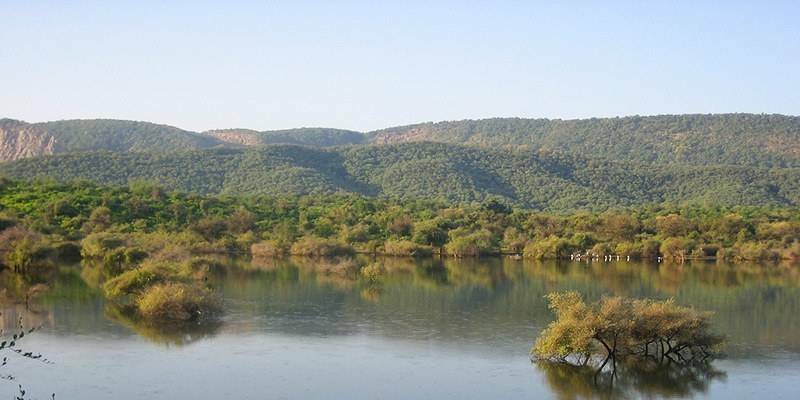 Being a part of the Aravalli range, the area is fertile and rich with resources, thus providing a home to a large number of animals. The major attraction in Sariska Wildlife Sanctuary is the Royal Bengal Tiger, along with it, the Indian cat, Indian leopard, hyena and chinkara can also be found. Unfortunately just about a dozen Tigers remain in the reserve but still Sariska has a lot to offer. This area is a lot less commercialized then Ranthambore so you can experience lot more peace here. Besides Tiger you can get a chance to spot Leopard, Wild Dog and Hyenas. Among birds the Indian eagle owl and the white crested Kingfisher are quite a sight. Now that the roads are good, Sariska and Alwar can also be done a day tour from Delhi NCR, especially from Gurgaon. 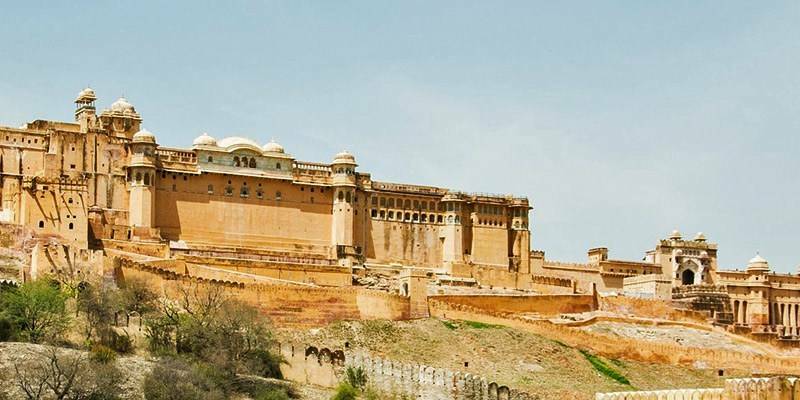 Alwar is quite close to Sariska and famous for its royal palaces and forts. Siliserh Lake and Bala Qila are two great places to visit in Alwar. Alwar along with Sariska is good option for weekend getaway from Delhi within 200 km. September-November and February-March are best months to visit. Lansdowne is yet another place that harbors pristine and mesmerizing environment. It is an ideal place to meditate and be at peace for a while. The place has amazing locations for trekking too. Lansdowne is a cozy laid back small hill town. On the face of it there is nothing much to do, but is a more than an ideal weekend destination for those looking to relax close to nature. Major attractions in Lansdowne would be, the Tip and Top view point, the war Memorial, a number of temples like Kaleshwar Mahadev and Tarakeshwar Temple. Mandawa is probably the least known place in this least and that makes it a great offbeat place to visit on a weekend. 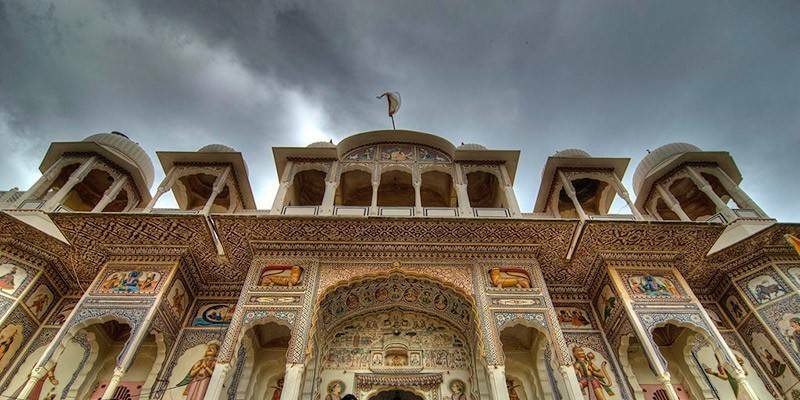 Mandawa is a town in Shekhawati region of Rajasthan and located about 240 KMs from Delhi and 190 KMs from Jaipur. The heritage town of Mandawa is a popular destination among foreigners who visit the city for its beautiful Rajputana Havelis. The towering Mandawa fort dominates the skyline of Mandawa. Mandawa offers lot of options to stay and eat for tourists that includes few heritage hotels. Amritsar is the city that adorns the Golden Temple with its bounty is worth a visit. The calm and serene environment in the temple with occasional chants of devotees is alluring. 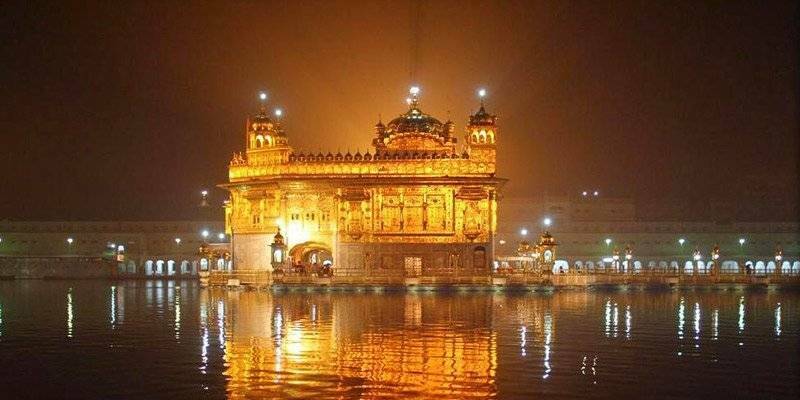 Although Amritsar is a long way from Delhi, thanks to a great highway, Amritsar can be reached from Delhi in 6-8 hours time. Even then it might be a better choice to take this option on a long weekend. The Wagah border invites tourists to a great pomp and show at the border gates of India and Pakistan.